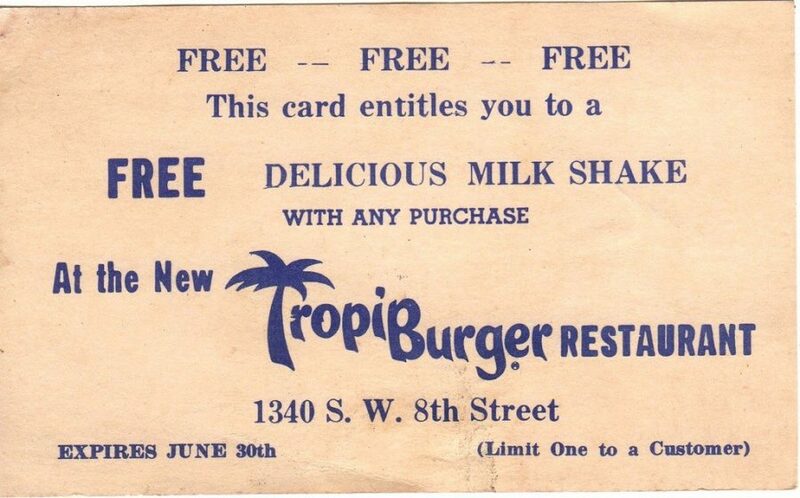 I’m always on the constant search to uncover South Florida Burger & Restaurant history. Sometimes I come across things I’ve never heard of and it just blows my mind. Below you will find 5 spots known for their Burgers and more that were around and now gone without a trace. I need to thank Phillip Pessar for his help in tracking down addresses and years for some of these. He helped out immensely when I’d get frustrated with reaching a dead end. So, here you go…..do you remember any of these? 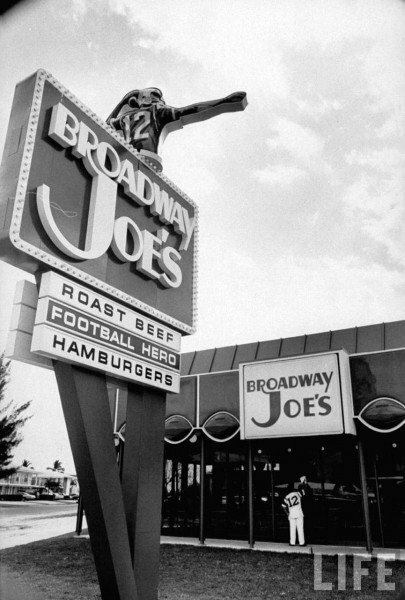 Broadway Joe’s opened in January of 1969 at 2415 Ponce de Leon Blvd. in Coral Gables. 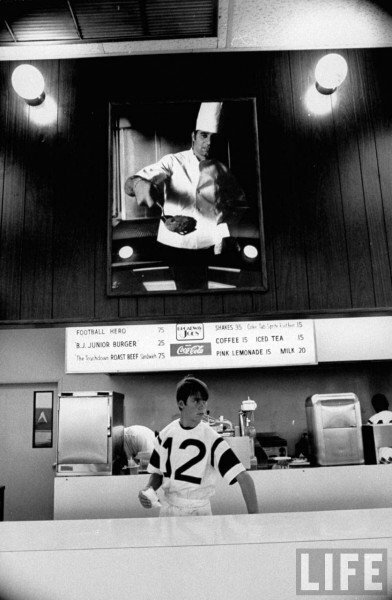 Broadway Joe’s was named after Football Hero Joe Namath and featured Hamburgers and Roast Beef Sandwiches are you can clearly see in the picture below. 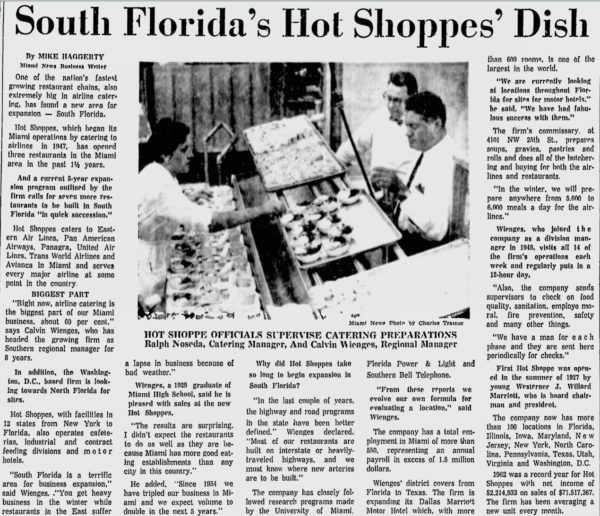 By May of 1970, there were 11 locations in Florida, New York, and Texas, 3 of which were franchises. 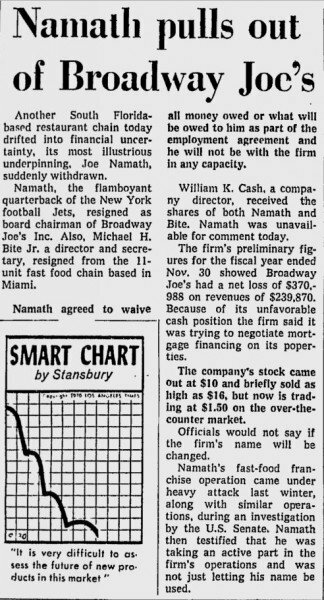 December 1970 saw Joe Namath leave the company and not long after that Broadway Joe’s was gone. 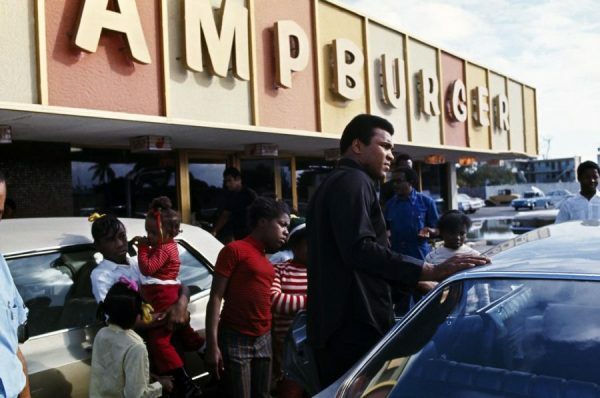 Muhammad Ali had a Burger joint? ChampBurger was a chain of black-owned-and-operated “Champburger Palaces” in black neighborhoods. The two ChampBurger locations were 3268 Grand Avenue in the Grove and 6155 NW 17th Avenue. To support his family, he among other activities, signed a restaurant franchise deal that netted him $900,000 from the Champburger Company for the use of his name and image and a 1% royalties on the company’s annual profits. In 1968, Champburger stock sold for $5 a share. The licensing contract he signed with Champburger stipulated that all franchise menus sell Muslim friendly food without pork or shellfish. Thus in addition to the all beef Champburger, franchises would sell all beef “hot dogs, fried chicken, fried fish, boiled fish, other food products and soft drinks including his own endorsed Mr. Champ soda. The franchise never made out of Miami as the company never gained enough investors and got bogged down in a lengthy and expensive court case with stockholders. 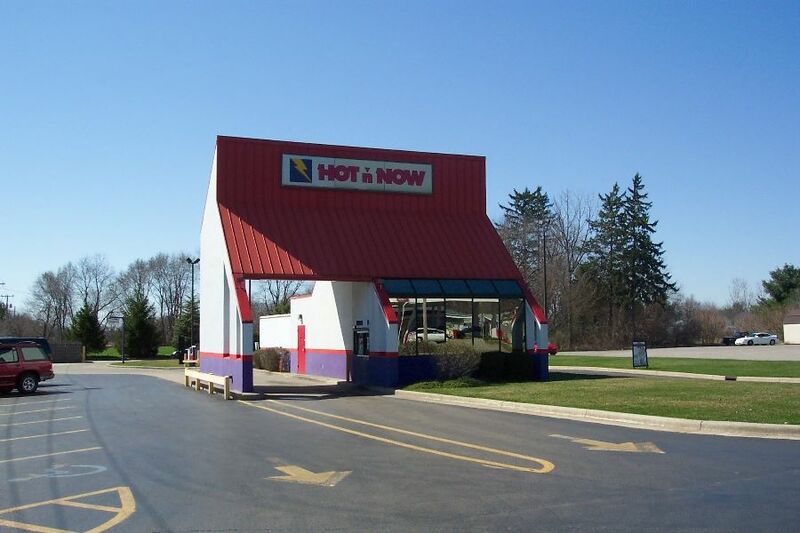 Most folks nowadays know the name Marriott for their chain of hotels but in 1927, J. Willard Marriott opened a nine-stool root beer stand that became the Hot Shoppes Restaurant chain. 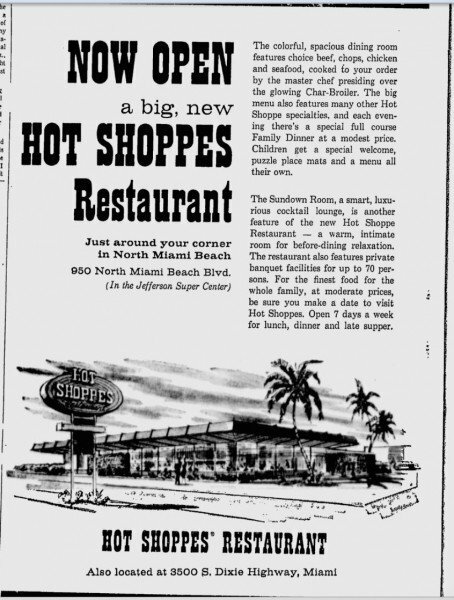 There were 4 locations in South Florida that I could track down: 950 N Miami Beach Blvd (NMB), 7900 SW 104th Street (Dade), and 3500 S. Dixie Highway. According to the article in the Miami New in April of 1973, Hot Shoppes arrived in Miami a year and a half earlier. 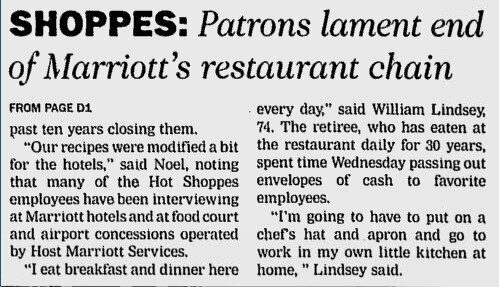 How long they last in the SFL I’m unsure of but on December 2nd, 1999 Marriott closed down the last of the Hot Shoppes. If you’re still longing for the days of Hot Shoppes and their popular dishes like the Mighty Mo Burger & Sauce, check out the Marriott Hot Shoppes Cookbook which you can get at a pretty decent price on Amazon. Jahn’s was an old fashioned Ice Cream Parlor chain that began in New York and had two locations in South Florida: 249 Miracle Mile in Coral Gables and 17262 Collins Avenue in North Miami Beach. 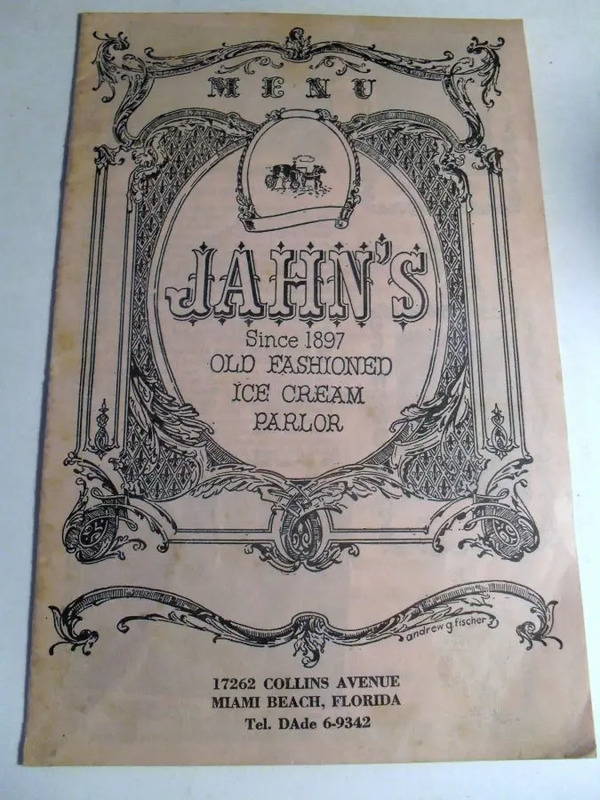 There is still one Jahn’s operating today in Jackson Heights, Queens. I’m not sure exactly as to the dates of operation in South Florida but the first location opened in the Bronx, 1897. By the 1950’s they had spread to other parts of New York, New Jersey, and the two SFL locations. Jahn’s was famous for its huge Kitchen Sink Sundae. 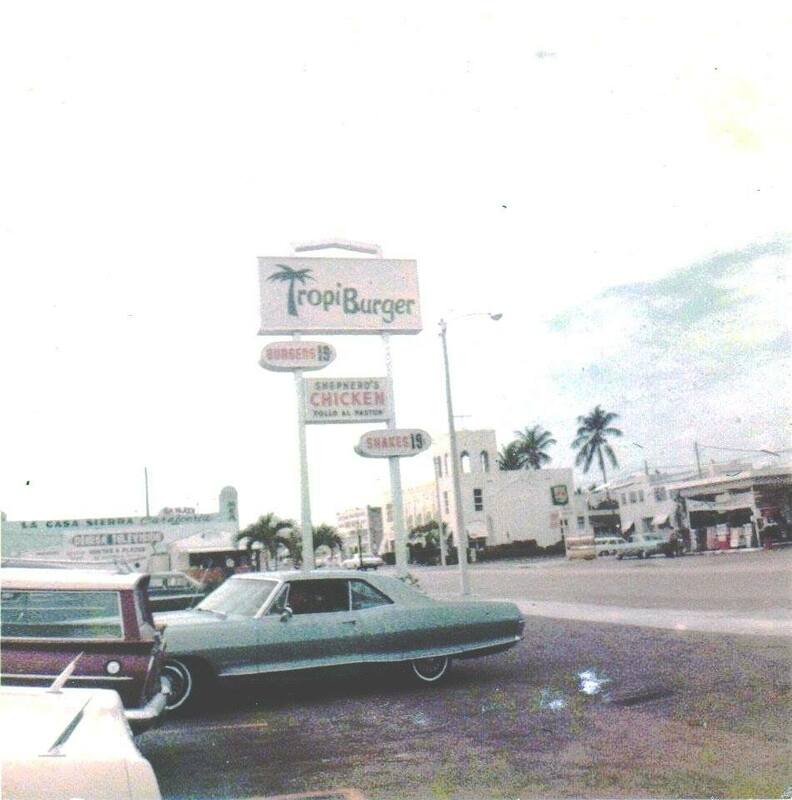 I don’t know much about TropiBurger which had one location in Little Havana at 1340 Sw 8th Street in the early 1960s. It didn’t work out for them in Miami so they opened in Venezuela where they had a great run opening many locations. In February of 1997, the 32 TropiBurger locations in Venezuela were converted to Wendy’s and just like that, they were gone. 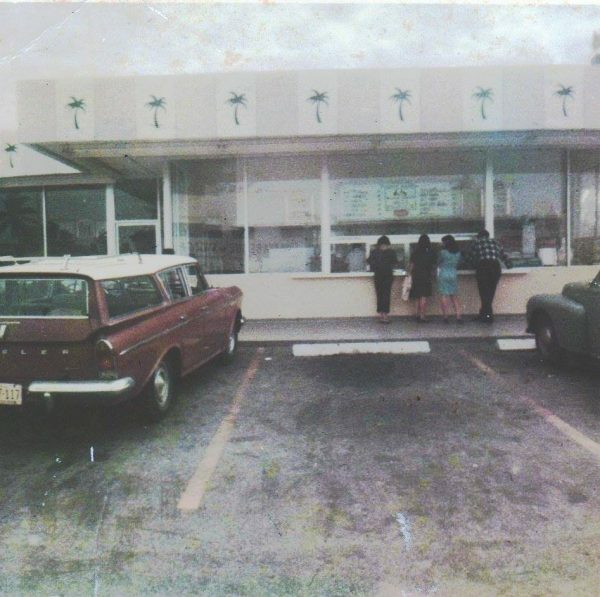 It is but it’s probably about 20 years before Pollo Tropical. 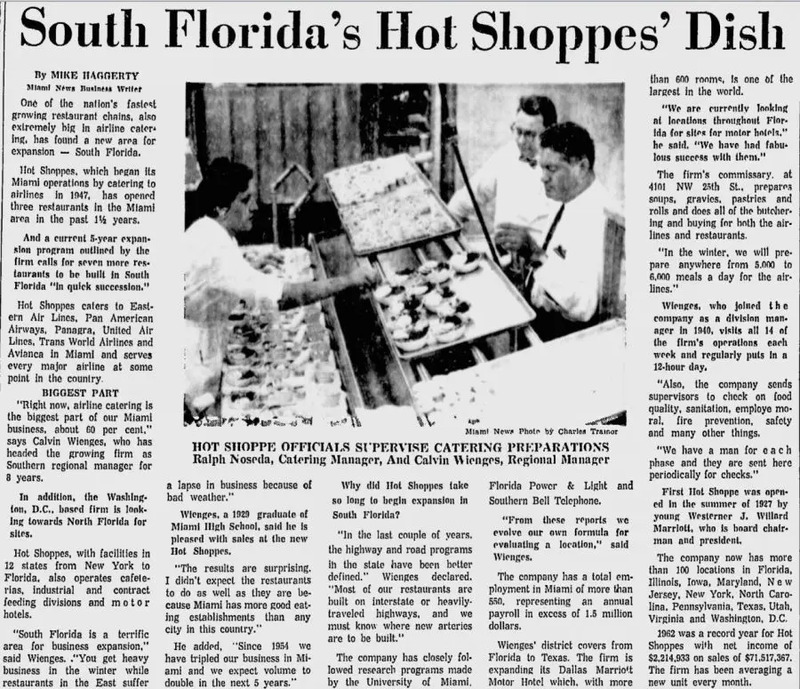 Hot Shoppes on Dixie and Jahn’s in the Gables were childhood staples. Hot Shoppes had a version of a Big Mac that was delish! There was one Champ Burger in Ft Lauderdale on Sistrunk Blvd. The building still exists but it’s currently vacant.